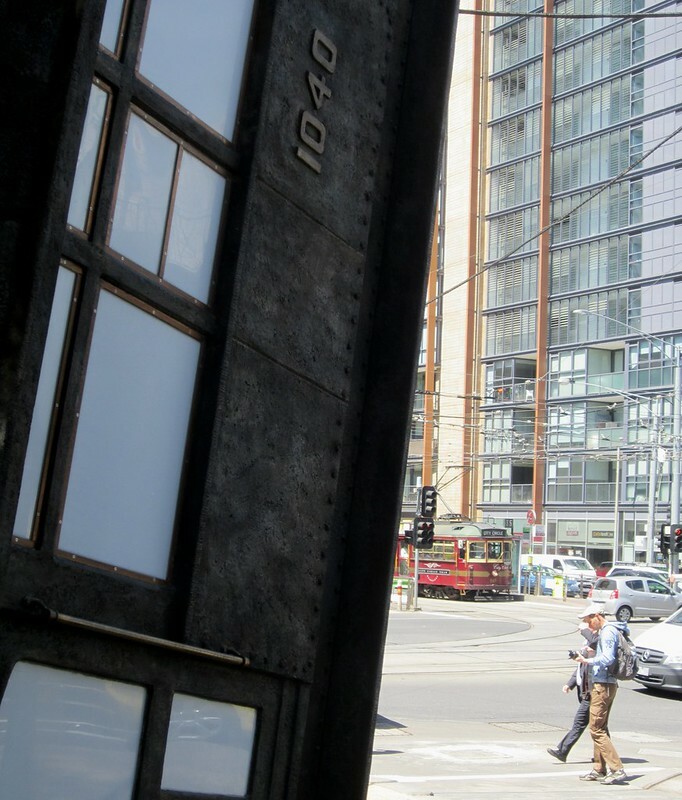 Speaking of sculpture, there’s a rather splendid new one at the corner of Spencer and Flinders Streets — a full-size replica of a W-class tram. Officially titled “Raising the Rattler Pole – The Last of the Connies”, it was installed last week, and when I went by a day or two later, appeared to be getting a lot of interest from passers-by. 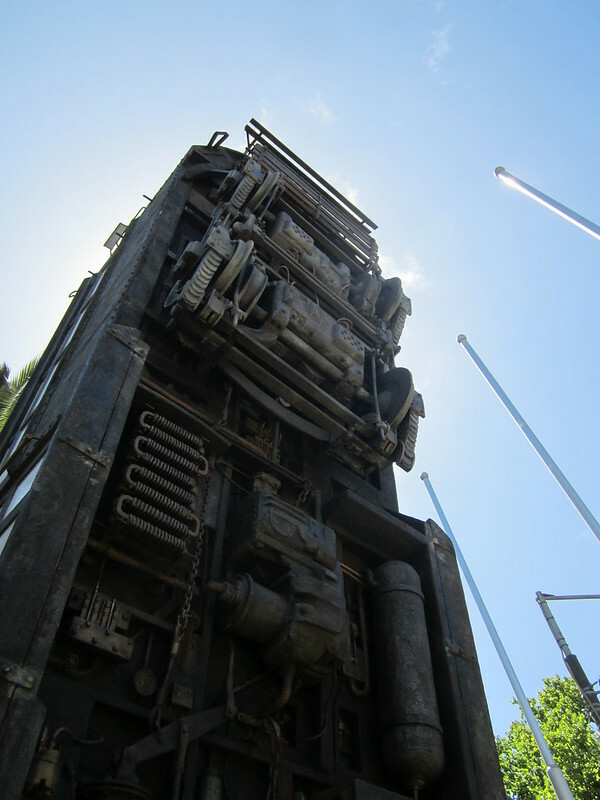 The artist is David Bell — on his web site are some photos of the sculpture being built. Apparently it lights up at night… must go past sometime after dark to take a look. Very clever. Take an every day object and put it in a different situation and it becomes a work of art (plus it is an original sculpture). PS Why is the object partly titled “The Last of the Connies”. Tram conductors were also on later type trams. Seems like he’s trying to tack on a political statement, but it doesn’t really fit. Just glad it was not a real tram they had to destroy for it. Even if it is an old out dated rattler. As a work of art, it sure is interesting. I went past it twice last week and stopped to take photos once. No-one seemed very interested in the sculpture. Why is it grey? 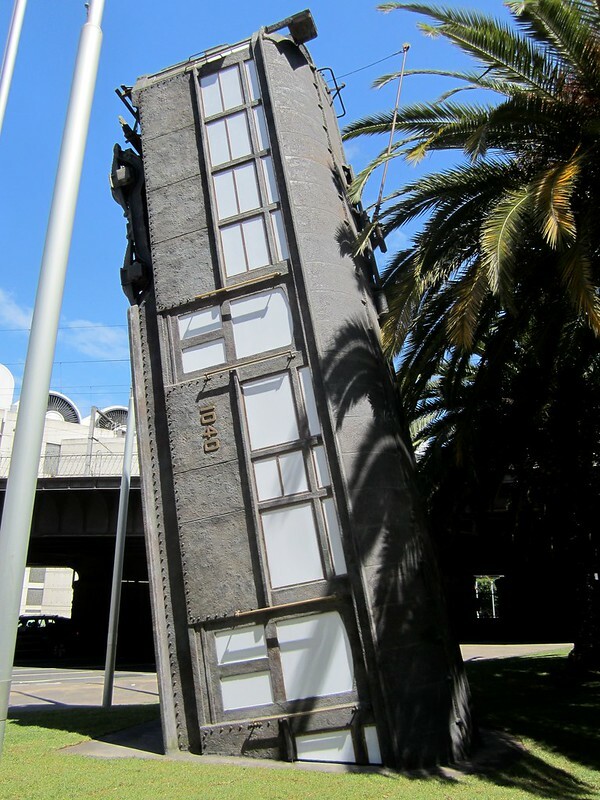 I think a lot of people will miss the fact that it is a replica of a tram given the lack of colours.